In need of some woodwork? Chances are you’ll want to hire a Big Sky, MT carpenter. Carpenters work with all types of wood and can specialize in many different areas, including framing, finishing and custom-made furniture. Make sure you choose the right Big Sky carpenter for your job by asking plenty of questions, viewing their past work and reading reviews. We specialize in carpentry and trim work that upholds some of the finest quality in the Big Sky area. For over the last 12 years, we have worked mainly in the Yellowstone Club, while branching out to the Spanish Peaks, Moonlight Basin, and surrounding areas. 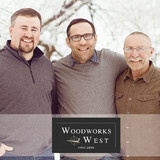 Ten Fingers Woodworks is a multi faceted Wood Shop and Hardwood Flooring Installation company. We have the wood shop where we build stair components, wood counter tops, and custom wood products. We offer Hardwood Flooring Installation where we install, sand and finish Hardwood Flooring. We offer Finishing services where we can finish the products we build and finish others wood products. We also offer Wood Supply where we sell Hardwood Flooring to the trades and the Public. We have a very skilled team on board where we can offer the highest expertise in all the services and products we offer. 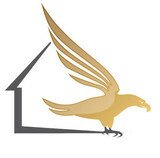 Grissom Renovations & Construction LLC is a residential and commercial construction company that specializes in home/business remodels and new construction in the Gallatin Valley. GR&C is a carpentry contractor that provides a wide variety of services ranging from maintenance and repair work to new additions. GR&C is aware that taking on a new project can be a daunting undertaking for a home or business owner. We understand the feeling of vulnerability involved in entering into a relationship with a contractor that you are placing your implicit trust in. We hope to limit these fears by being honest, up front, and clear from the initial consultation through the completion of the project. Communication is very important to us, and we strive to be courteous in responding promptly to any questions the client might have. GR&C is well aware of the problem of the "absentee" contractor. We strive to right this industry stereotype by regularly being on site, communicating the schedule, and revisiting the scope of work and client expectations. We want our clients to know that we have their best interest in mind. GR&C is committed to a high level of professionalism and craftsmanship. We take pride in our work. This shows itself in the quality of materials that we use and the skill and care that we take in our building methods. We firmly believe that sub-par work and cutting corners not only leads to an aesthetically and functionally displeasing project, but also to a more costly project in the long run. As craftsman, we know the benefits of quality work: the beauty of a finely crafted project, the equity that this adds to your home or business, and the peace of mind that goes along with knowing that the job will last for years to come. We hope that you will consider Grissom Renovations & Construction LLC for whatever carpentry projects you currently have, or are thinking about in the future.